ComTec Academy is a student learning community for grades 10-12 that integrates a vocational component (ComTec integrates communications technology) with core academic classes. This structure is based upon California Partnership Academies (CPA), a school-within-a-school that surfaced in California in the early 1980’s. 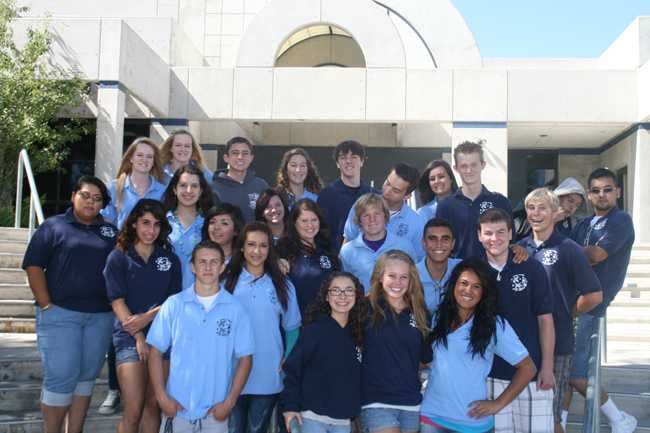 The CPA represents a high school reform movement that is focused on smaller learning communities. The ComTec Academy is unique among statewide academies in that students are partnered with core teachers for all three years of their Academy experience. In addition, the Academy spends a great deal of time on community projects such as Toys for Tots Drive and sponsoring a child from Uganda. An average of 95% of graduates has been eligible for college entrance based on A-G requirements.